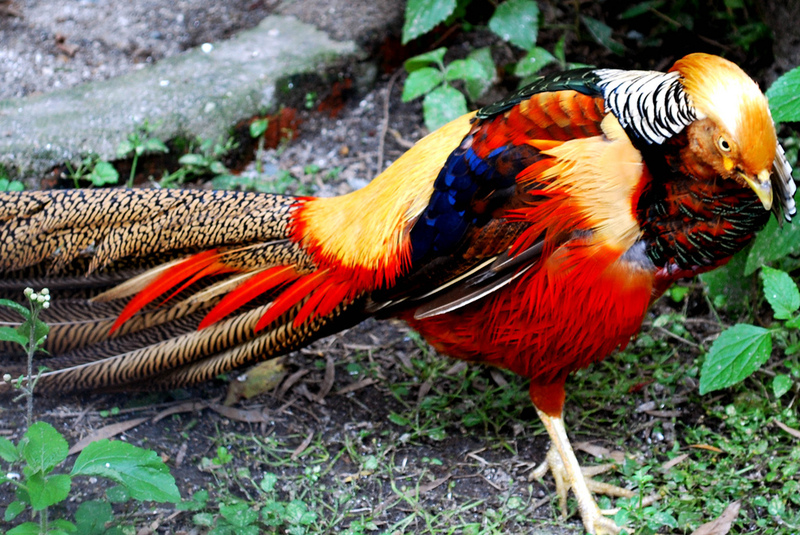 Also known as the Chinese Pheasant , the Golden Pheasant is famous for being one of the world's most beautiful birds. The male Golden Peasant is unmistakable with its golden crest and rump and bright rd body. The Deep orange cape can be spread in display appearing as an alternating black and orange fan that covers all of the face except its bright yellow eye with a pinpoint black pupil. The males have a distinctive metallic call in the breeding season On the other hand the female Golden Pheasant sports a duller mottled brown plumage and lays 8 to 12 eggs at a time and will then incubate these for around 22-24 days.